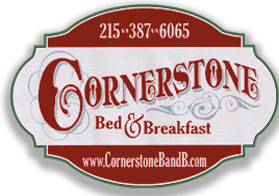 The Philadelphia Zoo is located 1 mile from the Cornerstone Bed and Breakfast is home to more than 1,300 animals. By connecting people with wildlife, the Philadelphia Zoo creates joyful discovery and inspires action for animals and habitats. Cheetahs, hippos, giraffes and much more make the Zoo Philadelphia's leading family attraction with over 1.2 million visitors last year. Make sure to reference the Philadelphia Zoo when making your reservation to receive the above mentioned amenities. Book Your Zoo Package Today!